Coffee consumption overall seems to be beneficial to health in various ways, such as lowering the risk of colorectal cancer. But there are times one should limit how much one drinks, such as during the preconception period for both the male and female, and also during pregnancy, to lower the risk of miscarriage. Coffee contains many elements that contribute to overall colorectal health and may explain the preventive properties. Caffeine and polyphenol can act as antioxidants, limiting the growth of potential colon cancer cells. Melanoidins generated during the roasting process have been hypothesized to encourage colon mobility. Diterpenes may prevent cancer by enhancing the body's defense against oxidative damage. "The levels of beneficial compounds per serving of coffee vary depending on the bean, roast and brewing method," said first author Stephanie Schmit, PhD, MPH. 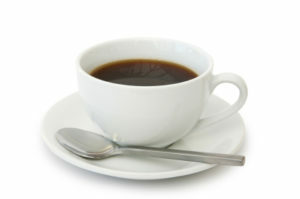 Women already know they need to cut back on coffee during pregnancy, if not sooner, to lower the risk of miscarriage. But a new study suggests the men in their lives need to limit caffeine too. Pregnant women who had more than two caffeinated drinks a day while trying to conceive had a 74% higher risk of miscarriage than their peers who drank less coffee, tea, soda and energy drinks, the study found. When their husbands and boyfriends had more than two caffeinated drinks a day during the preconception phase, however, these pregnant women ended up with almost the same increased risk of miscarriage they would get from drinking coffee or soda themselves...."We did not find drinking one to two daily caffeinated beverages to increase the risk of miscarriage." Scientists aren't sure how caffeine contributes to miscarriage, but it's possible it affects egg or sperm production, implantation of the fertilized egg, or the ability of the embryo to grow in the uterus. To assess how lifestyle choices may influence miscarriage risk, Louis and colleagues followed 344 couples in Texas and Michigan through the first seven weeks of pregnancy....Overall, 98 women, or 28%, experienced a miscarriage during the study, as reported March 24 in the journal Fertility and Sterility. Women 35 or older had nearly double the miscarriage risk of younger women, the study found. When women took daily multivitamins, their miscarriage risk was 55% lower than for their peers who didn't do this. One surprise in the study is that researchers didn't find an increased miscarriage risk associated with smoking or alcohol, however. This doesn't mesh with previous research, noted Dr. Jeffrey Goldberg, a reproductive health researcher at Cleveland Clinic in Ohio who wasn't involved in the study.